Mortgage is a lien on the immovable property, which authorizes the creditor to, if the debtor does not pay the debt on the maturity of the claim for collecting the claim secured by a mortgage from the value of the real estate, Mortgage is the only way of assigning immovable things, which is extremely favorable to legal transactions. 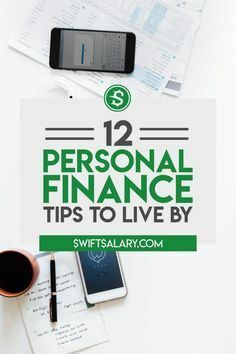 It is favorable for the loan lender because this is the cheapest way to get a loan (loans secured by a mortgage usually have the lowest interest rate and a longer repayment period). And for the creditor, because the value of the pledged real estate is more than the amount of the loan, so it can be quite sure that it will receive debt with all interest. When shopping for a mortgage and looking for the best rate the tendency is often to just look for company’s published rates and call the company claiming the lowest or call around and just ask ‘what is your rate’. Unfortunately, this can often lead to unpleasant surprises later. In your quest for the best mortgage rates, you also need to avoid having your credit pulled multiple times as this could lower your score. 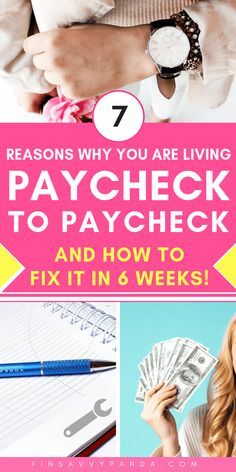 The best way to approach this is to get a copy of your credit report for yourself from a reputable source and use that to shop around. Points are equal to 1 percent of the loan amount. These points are sometimes paid as part of closing costs in exchange for a lower rate. Keep in mind they affect the real total cost of your loan. Refer to the trusty mortgage loan payment calculator often to figure out the effect of variations in interest rates on the payment. Adjustments are also known as ‘Bumps’ in the industry. When talking to a loan officer make sure they have accounted for all factors to ensure you do not get any nasty surprises later. 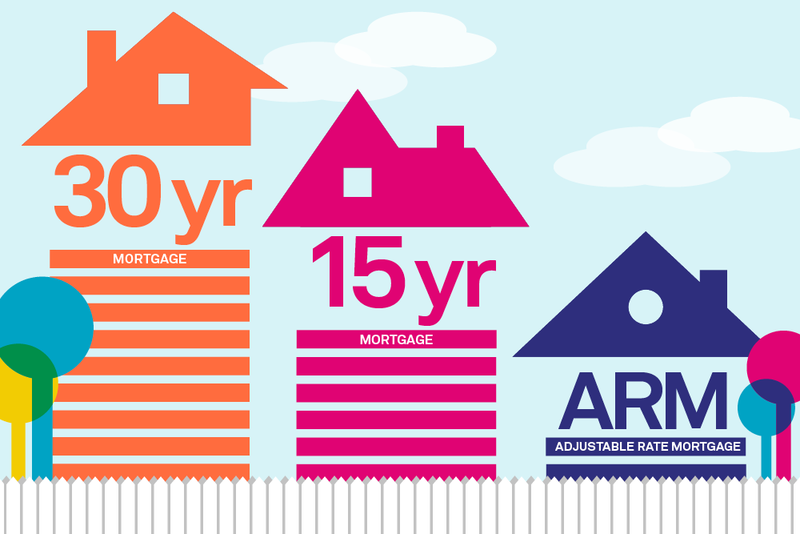 Make sure you know how long the quoted rates are good for. Ask what the costs or fees are involved for locking in a rate. If you decide to lock in an interest rate make sure you get confirmation in writing and give yourself longer than you need in case any delays come up. The best way to shop mortgage deals, and keep your mortgage payment in check, is to get a quote from one company and then use that as a comparison to others. If you will be comparing different loan types then ask the loan officer for a separate quote on each one. Make sure that each lender is quoting you based on the same information and keep referring to the mortgage loan payment calculator to confirm numbers. Yes, finding the best mortgage interest rate is a big deal. A mortgage can burden numerous real estate, then it is called a joint mortgage, this usually happens when the value of one real estate is too small to be able to charge the entire claim. Such a mortgage can be established regardless of whether they belong to the same or different owners. What Will The Real Effect Of a Refinance Mortgage Be? Is it really going to save you money or are you sacrificing a good chunk of equity for the sake of saving a few dollars every month? The biggest mistake that is often made is to get caught up in refinance mania at low-interest times and look at the few monthly dollars saved without paying attention to the term of the loan. The mortgage refinancing calculator will guide you in making the right decision. This calculator will help you to decide whether or not you should refinance your current mortgage at a lower interest rate. 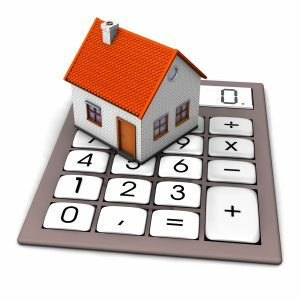 Not only will this calculator calculate the monthly payment and net interest savings, but it will also calculate how many months it will take to break even on the closing costs. When you take a new mortgage in exchange for the past, it’s called refinancing. It’s mostly done to get you a better interest rate and a better interest term. When refinancing a mortgage, your first loan is then fully paid out of your other loan. However, if you have a bad credit or it lasts too long, refinancing may be at risk for you. The point is, whether or not there is an economic crisis in the world, no matter how much you have, there is always the possibility that in this economy it will become hard to repay the mortgage. Interest rates may be too high, or the economy is too unstable, and it may happen that repaying your mortgage at once is quite difficult for you. If this happens to you, it may be time to consider what refinancing can do for you. owledge before embarking on such a challenge because if you do not do the refinancing properly, you can eventually increase your interest rate instead of decreasing it. That’s why we have created a special calculator so you can be completely sure that you have found a refinancing that fully matches your desires and opportunities. The main advantage of refinancing is to lower your interest rate. If you pay your bills on time, this means your credit score is rising, which is good for you. For this reason, you may be given the opportunity to obtain a refinancing mortgage at a much lower interest rate than the one you are currently paying. Also, your lower interest rate means that your monthly payment will be lower for you. If you get a good enough refinancing loan, you will probably be left with enough money to spend on other things, such as arranging your home, buying a car, or you can also reduce your credit card debt which will increase your credit score. This is probably the most misleading mortgage calculator there is. In most cases families and individuals starting out, who plan to buy a home, don’t pay the maximum rent they can possibly afford but rather stay in a rental property as their income grows and start saving for a down payment to purchase their dream home. Real Estate Agents have traditionally relied on a calculation like this to convince those who think they can not afford to purchase otherwise, but as stressed above the renter affordability calculator will only serve those renters who pay the maximum possible rent they can afford and still managed to save enough money to pay for the down payment and closing costs of new home purchase. If the above describes your situation, then we recommend you visit our mortgage qualifying calculator which will be a more suitable tool for calculating the maximum mortgage amount that you are qualified for. 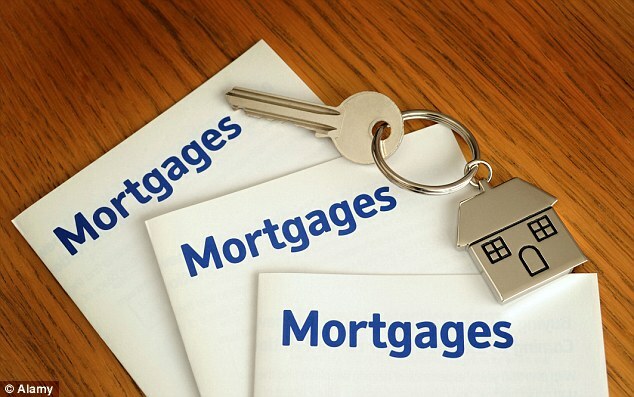 Mortgage is a lien on immovable property, which authorizes the creditor to, if the debtor does not pay out the maturity or if there is a violation of another obligation that activates the mortgage, requires the collection of claims secured by a mortgage from the value of the real estate, before ordinary creditors and before later mortgage creditors, regardless of in whose ownership the real estate is located. y agents, seek funds that maximally reduce the risk of mortgaging. Although we are accustomed to it, recently a mortgage is a security that appears in other categories of loans. It is perfectly logical to give mortgages for a home loan because the collateral security for a loan that we will repay on an average of 20 years must be of sufficient quality even after 10 or 15 years of repayment of the loan, we can service the payment if there is a problem in repayment. To be sure you are making the right move for yourself and/or your family, the best thing you can do is to educate and inform yourself the best you can. Look at various options you might have, use numerous calculators on the internet and pay close attention at variables those calculators are offering to you. Be sure in what you are getting into before it is too late for you to correct any mistakes you might make. Renter affordability mortgage can be a great thing if it is done right, and it can be really beneficial to you. Find your perfect solution by researching the market and getting a deal that is tailored to your needs and wishes. In that way, you will surely be able to manage whatever comes your way. It’s far from easy to get a home loan now that mortgage companies are highly regulated and mortgage application processes are under scrutiny. Ever since the housing market bubble burst in 2007, mortgage lenders have buckled down and tightened their lending requirements. Be sure you have all the documentation they might want to see! Don’t allow yourself to be rejected just because you didn’t provide them with all the information they might need, What does that mean? Well, your lender may easily get your credit score, but it will be difficult for them to verify your income if you didn’t submit all acceptable documents. With your pay stubs and bank statement that you submitted you also need to provide tax records because those will back up those claims, and if you don’t do it, your application will be in most cases denied. When you pick your dream home and negotiate an offer on the property, the amount that you are purchasing the home for needs to be equal to or less than the property’s actual value. If the value of the property is appraised to be significantly less than the mortgage amount you are applying for, the loan application will be rejected. To fix this, you may need to hire another appraiser, renegotiate the purchase price or apply to a second lender. Some banks have more loan programs than others. Banks that have limited options to choose from may have tighter and more restrictive lending requirements. If the bank will not do your loan, there is a good chance another bank with looser criteria will. You should be applying to banks with a large set of programs or multiple banks to strengthen your chances of getting an approval. If you have major blemishes on your credit, improvements can take time. There are, however, instances where the issues can be fixed rather quickly. There are several things you can do if you are one of those people whose score is really just below the minimum requirements. You can bump up your score if you pay down credit balances, that will sort out within a few days! If your credit score is holding you back, the USDA loan lenders at USDA Loans Direct suggest that you meet with a financial specialist to get the best advice about how you can improve your credit before applying again. There are ways to fix some rejected applications, but there are cases where a denial may mean you need to wait. That is why you need to determine for sure if you got denied because of some glitch or missing documentation and information. Did you know there is a Streamline Refinancing Program, which allows veterans to refinance at little or no expense to them? Also, you may be able to refinance a conventional or FHA loan over into a VA loan. Do you know all the hidden VA benefits that might be perfect for you? Be sure to check those out before you make your definite decision! Individuals who qualify should certainly take advantage of the many benefits that a VA loan has to offer over a conventional loan. With a conventional loan, the loan is made AND secured by the lender. A VA loan differs from this because it is made by the lender, but it is secured by the federal government, therefore bestowing many more benefits. However, VA loans are only available to veterans and qualifying members of the armed forces. With VA loan you don’t need a down payment when you are buying your new home. Also, you don’t need any private mortgage insurance when you are getting your VA guaranteed loan. These VA home loans will give you more flexibility than it seems. an would be perfect for you, make sure you checked all the options VA loan can offer you because it might be just the type of hidden gem you were looking for. The VA even offers help for those looking to refinance. Don’t investigate these benefits without asking for information about the interest rate reduction loan, part of something called the Streamline Refinancing Program, which allows veterans to refinance at little or no expense to them. Also, you may be able to refinance a conventional or FHA loan over into a VA loan. Refinancing might even bump up your credit score and make your monthly payment lower than it is now. The refinance will pay off your current debt and it might even leave you with enough money to buy or redecorate your new home. The specific benefits of a VA loan in comparison to a vs. Conventional Loans are numerous. VA loans offer exceptional loan rates, often much lower than those of a conventional loan. There is also no monthly mortgage insurance necessary for a VA loan, and the qualifying terms are much less stringent. VA loans are only open to qualified veterans, and VA loans offer considerably more benefits than FHA loans. For instance, VA loans require no down payment; they offer fixed, competitive interest rates, no matter the buyer’s credit history; and they have limitations on closing costs. VA loans have long amortization periods and afford the right to prepay the mortgage without penalty. 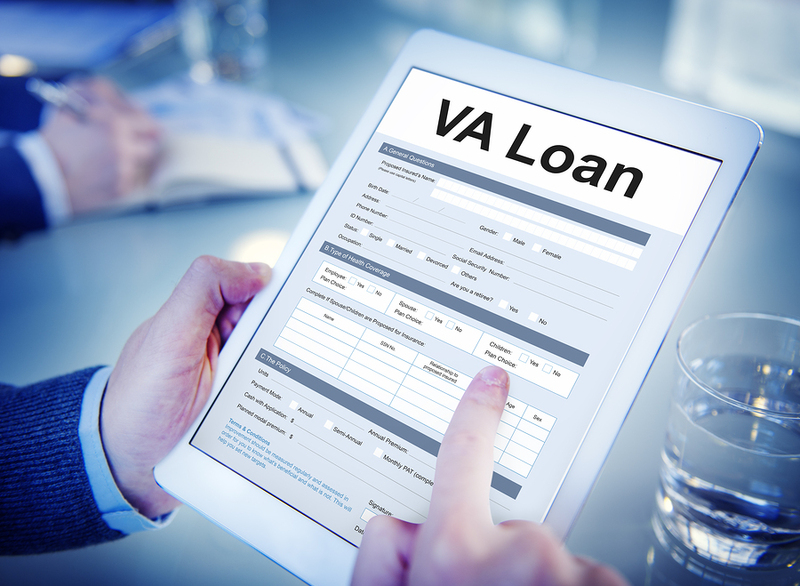 One of the biggest benefits of a VA loan is forbearance. This means that the federal government extends leniency to veterans experiencing temporary financial hardship. * (Please check with your VA Mortgage Loan consultant on most current guidelines, loan specifics, and benefits as in today’s lending environment, these can change frequently). 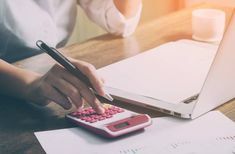 FHA Mortgage loan calculators are somewhat more complex than their conventional mortgage cousins, as they are also dependent on maximum mortgage limits and a more complex mortgage insurance calculation. We will be bringing to you a simple way to use FHA mortgage calculator that we have developed and are currently testing. In the meantime we bring to you a description of how the basic calculation works but remember to check your counties maximum mortgage amount. Documenting source of closing funds and gifts. Income verification and how overtime and bonus incomes are calculated. Legitimate sources of income and how side job income is calculated. Seller contribution to closing costs. It is important to appreciate that the Federal Housing Administration (FHA) provides basic guidelines to mortgagees and guarantees the purchase of the mortgage if the lender follows those minimum requirements, however that does not mean that the lender can not add their own requirements and very often they do. ghly equal to the ending balance. If gift funds are involved then the lender must see the ability of the donor, by means of obtaining a bank statement showing that the last of the money is not being donated plus a letter from the donor stating that the funds are actually a gift and that no repayment is expected. it is best to copy the gift check and keep the deposit receipt to demonstrate to the lender where that big deposit came from. What is exacly FHA loan? The FHA loan is government-backed mortgage loan, and it is secured by the Federal Housing Department for homebuyers with low credit ratings. Borrowers benefit from the low FHA credit threshold of 3.5 percent of total home purchase. Borrowers with FICO credit ratings as many as 580 and bad loans can still meet FHA loan requirements. Even borrowers with a credit score of as little as 500 can qualify for an FHA loan (they are expected to pay 10 percent of the total purchase of the house). By contrast, common mortgage loan applicants with a credit rating of 620 usually require between 3.5 percent and 20 percent of the total purchase of the home. There are warnings with FHA loans. You need to survive a rigorous process of approving a FHA loan (see below.) It is also useful to know the FHA credit limits, as follows. The FHA maximum loan amount for what FHA considers “inexpensive markets” is $ 679,650. The highest FHA loan you can get in what is called the “cheap market” is $ 294,515. Borrowers like FHA loans for various reasons, but low interest rates and conditions for better conditions are at the top of the list. Business Loans Or Personal Loans: Which Is Better? If you are wondering which loan is a loan, it would certainly be a personal loan. There are several reasons why you should be looking for a business loan – maybe you want to refurbish or expand your space, invest in new machines, equipment, vehicles or equipment? If you can’t decide between business loans or personal loans maybe this article is the right solution for you. Here you will learn everything you need to know about these two types of loans so you can make your decision more easily. Business loans are tailor-made for such needs and keep up with your poses, but it’s not a rare case that small businesses decide to take a personal loan for their simplicity and flexibility. A personal loan can be used for anything and can help you achieve your business and private goals. There is indeed a wide range of using personal loans, although they are not really adapted to your business and business rhythms. You can also take a personal loan for refinancing any other loan. A personal loan has no special purpose and can be used as desired. You only determine the amount of the loan and the repayment period. The personal loan provides you with the most favorable bid by comparing more different ones. You only determine the amount of the loan and the repayment period, and if you wish, there can also be a secured package. This ensures the payment, for example in the event of any incident. Personal loans can be really flexible regarding any variable and that is why they are so popular. trengthen the position you have, or want to immediately realize urgent short-term needs – a business loan is a good solution. You can always expect support through short-term or long-term lending, and in addition to fast and efficient services, there are also favorable loan conditions tailored to your business cycle. Taking into account the specifics of each client’s business, micro-business entities and entrepreneurs have a wide range of loan products needed to improve business quality, achieve greater efficiency in business, profitability, better adaptability to business environment changes, more secure investment planning, and making business decisions with less uncertainty. Which of those two offer you a better value regarding your job? There is some benefits regarding business taxes if you keep your business and personal stuff separated, and there we include interest deductions and easier taxation. With a business loan, you can borrow over one million usd. On the other hand personal loans have a wide range of different bonuses that will save your money, including autopia discounts and foreseeable penalties. But if your business needs a lot of money buy you will not be able to require it with a personal loan. But if you could, that option would be a great one. No matter which option you choose the important thing is that you made a decision based on information and knowledge knowing all the benefits and consequences that might come your way. You know the best what will suit your needs so make sure you weighted your options carefully before you make a definite decision. What Happens IfI Default On A Personal Loan? It is important to know what exactly means and what you should expect if it happens that you can’t pay off the loan you took. If it happens to you that you default on a personal loan, that may come expensive to you and it can do some damage to your credit that might be serious. If you keep yourself informed that will help you greatly trough getting back on your path to financial stability. What is a default on a personal loan? There are different levels and it all depends on the type of loan you took, on the terms of the agreement you got and on your lender, but most contracts are considered defaulted if you miss your repayment by more than 29 days. There are cases per your agreements when the borrower can get sixty to ninety days period before the loan is considered defaulted. Again, it depends on what type of loan and deal you got. But if you manage to make your repayment somewhere in the thirty days, it won’t be considered as late and it surely won’t hurt your credit score, which is quite important. It is best for you to check your loan contract thoroughly and to contact your lender so you can know for sure. Did you miss only one payment? 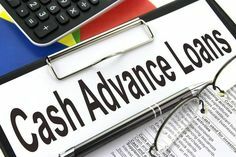 It again depends on your lender but many of them can give you a grace period and will even not charge you with any fee if you miss your payment only one time. The grace period can be for ten to fifteen days but it can be for more, again, it depends on your lender. That is why its important to chose a lender who can allow himself and yourself some adjustment, in order for you to get more options in paying your loan the way it corresponds to your possibilities and needs. But, after missing one month, you will most likely get a fee the next time you miss your payment if it happens again. The fee is most commonly a percentage taken from your payment due and it is most commonly around five percent. But your lender may have a fixed fee or they might charge you some extra interest instead of charging you with a fee. Again, that is why it’s so important to choose your lender right and to thoroughly read your agreement before signing it. Your credit score depends on your repayment history and that is why it is important that you pay your monthly due in time. If you default on a loan it can stay on a credit report for years. ‘That means that it will be harder for you to get any future credit. No matter what happens it all comes down to your lender. If your agreement is reasonable it won’t be so bad for you if it happens that you defaulted on your loan. It is not the end of the world you just need to be sure that you got a loan from a lender who got your back and that in his interest is that you pay off your loan completely, not that he charges you extra for every slip you might make. If You Have Bad Credit Loans With Cosigner Are The Answer! If your credit score is not high enough or you have a bad credit history, you can not qualify for the type of loan you might want to get, which gives the best terms and rates. But there is another way and that is bad credit loans with cosigner. If you apply for a personal loan with a cosigner it will help you to qualify for any larger amounts of loans that have better terms and rates. Your cosigner can be your relative or a friend, the important thing is that the cosigner has a great credit score. 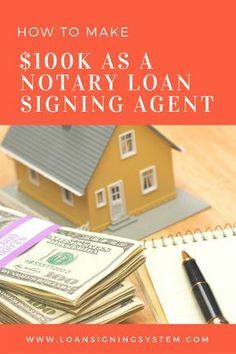 You just need to find a lender who accepts cosigners. In the money market, where the services we use are quite expensive for our wallets, banks and financial institutions maximally provide their capital against possible collection difficulties. One way of securing the money is also a cosigner. Your cosigner can be your family member or a friend, it does not matter as long it is a trusted peer. The cosigner works in a way that he/she obeys your lender that he/she will pay off your loan if you fail. It is like a safety net for lenders so they can give you a bigger loan than your documentation and credit score qualify you for. Wit a cosigner you will also get benefits like fees that are more affordable and lower interests. A guarantor is a person who guarantees his income for the client and undertakes that, if for whatever reason he does not settle his obligations, he will continue to pay on his behalf. In most cases, the guarantors are living in the country in which the loan is taken, with permanent employment and regular monthly inflows. The same rules apply to cosigners as for loan users – he/she must have a sound credit history and fixed income that is large enough to cover the amount of the rate. Both of them are responsible for paying off the loan. The difference is that co-borrowers get a share of the loaned money, and they share a responsibility for paying that loan from the start. Cosigner does not get any money and does not pay off the loan until the borrower defaults it. So, if the borrower manages to pay off the loan alone, cosigner does not carry any of the responsibilities to that loan. A cosigner can get every monthly statement from the lender regarding the loan they cosigned, so they can track the progress of the borrower and be prepared in advance for any changes with payment. Any missing payment hurts not just the borrowers’ credit score but also the cosigners too. In the event of a problem with repayment of the loan, the lender can activate the guarantee on the basis of the signed statement, which the cosigner automatically puts into the debtor’s position. Copyright text 2018 by Mortgage Calculators and Rates.